Online Gambling Bonus Guide – What Types Of Bonuses Are Available? One of the best features of any online gambling site is its bonus program. Bonus programs vary from site to site, and they differ depending on the type of gambling in which you are participating. However, they all have one thing in common – bonus programs, promotions, and offers are intended to get your attention and keep you coming back to a specific online gambling site. Please note that bonuses tend to be time-sensitive, which not only means that they often have an end date when the offer no longer exists, but also, that you must fulfill all requirements associated with the bonus in a specified amount of time to be able to use it. Also, online gambling sites will change their bonus offers, often every month. It’s important to keep current and read all rules, regulations, and restrictions associated with a bonus. Finally, a gambling website member is usually restricted to holding one active bonus at a time. Here’s a quick guide to the various types of bonuses that you’ll find at online casinos, poker rooms, and sportbooks. If used properly, these programs and offers can give you a lot more betting power. Of the three major types of online gambling websites, casinos tend to offer the most bonuses. This is due to one major reason. The gaming experience at a casino is designed to generate a lot of cash for the site, and that means that active casinos have a lot more money coming in than poker rooms and sportsbooks. In other words, they can afford to provide more bonuses to their members. Many bonuses require that you include a specific bonus code in order to qualify for the offer. Usually, codes are available from the casino or one of its affiliates. Here’s a look at the many different kinds of bonus offers you’ll find at online casinos. The first deposit bonus, which often ranges from 50% to 125% of the first transaction you make to fund your casino account, goes into effect after that deposit is made. However, you may need to wager a certain amount, that is meet a play-through requirement, before you can access to that extra cash. Play-through amounts vary and range from about four- to 15-times the total of your deposit plus the bonus amount. A true welcome or sign up bonus requires no deposit. It’s awarded and active as soon as you establish your account at the casino. With this type of free money, which usually totals between $5.00 and $50.00, you may only use the cash to make wagers. Often, you may withdraw winnings associated with this cash and not the bonus itself. Most online casinos include a reload bonus in their offerings. This is awarded when, after making your first deposit, you put more money into your account. Reload bonuses at casinos will range from 10% to 75% of the amount deposited. At various times, some casinos will designate specific table games or slot machines as preferred games. If you play such games at designated times, you will either earn extra VIP points or receive additional playing tokens to extend your time at the table or machine. Winter, spring, summer, or fall bonuses may be available or additional bonuses may be awarded during slow traffic times such as Tuesdays, Wednesdays, or Thursdays. Extra tokens may be awarded, special prizes may be available depending on how much you play, or additional VIP points may be given out. Some casinos will give back a percentage of your losses for the month. The range is 5% to 20% with high rollers often qualifying for the biggest rebate available. Cash that is given back may not be withdrawn. It must be used for wagering purposes. Casinos will often award those who use a preferred deposit method an additional 5% to 15% on the cash they put into their account. What methods a casino prefers will vary, but such bonuses are often given to those your use e-wallets or credit cards. If you play a certain number of days per month and/or wager a certain amount of cash, then you may be inline for a loyalty bonus. This may be a flat rate that escalates as you bet more during one month. As an example, a site may award a player who wagers from $300 to $500 per month $5.00, while a player who bets $501 to $750 may receive $10.00. As it is with all bonuses, this cash may only be used for gambling purposes. If you are a high roller, then you are going to get the largest bonuses, special attention from customer service, and access to rooms and games that others simply don’t have. Often a high roller at an online casino is someone who deposits around $1,000 or more at a time and bets $1,000 or much more within a four-week period. As a high roller, you’ll receive very generous bonuses, such as 100% on up to a $2,000 deposit, extra VIP points, double or triple what others are awarded, and much more. Casinos often have refer-a-friend programs, as this is an easy way for them to get new members who make immediate deposits. If you refer-a-friend to a casino at which you are a member, you’ll receive anywhere from $25 to $100 once they sign up and make their first deposit. When joining the casino, your friend will be asked to identify you either through a special code or via your player name. Most online poker rooms also provide players with bonuses, but these are usually not as plentiful or varied as those awarded by casinos. The online poker bonuses that are available tend to be very similar to those provided by casinos with some variations. The first deposit bonus at a poker room, which usually ranges from 25% to 100% of the first transaction you make when funding your casino account, goes into effect after that deposit is made. However, you may need to bet a certain amount, meet a play-through requirement, before you can use it. Play-through amounts vary at poker rooms and range from about one- to 10-times the amount of your deposit plus the bonus. A real welcome or sign up bonus requires no deposit. It’s awarded and active as soon as you create your account at the poker room. With this type of free money, which at a poker room usually totals between $5.00 and $10.00, you may use the cash only to play poker. Often, you are not allowed to withdraw the bonus, but only the winnings associated with it. Many online poker rooms include a reload bonus in their offerings. This is awarded when, after making your first deposit, you put more cash into your account. Reload bonuses at poker rooms are usually from 10% to 25% of the amount deposited. If you don’t play at an online poker room for a few weeks or a month or more, they may get you to log in and begin playing by offering you some free cash designed to have you “come back.” The amount ranges from $5.00 to $20.00, and it may not be withdrawn. If you don’t use it by a designated time, usually within two weeks to one month, it will disappear from your account. Online poker rooms often have refer-a-friend programs, as this is a good recruitment tool. If you refer-a-friend to a poker room at which you play, you will receive anywhere from $25 to $100 once they sign up and make their first deposit. When joining the casino, your friend will be asked to identify you either through a special code or via your player name. Online sports betting sites will also provide players with special bonus offers. The number of bonuses and types are akin to what you’ll find at a poker room. Sportsbooks, like poker rooms, don’t bring in the same amount of cash per player as casinos do, and this limits their ability to provide bettors with large bonuses. The first deposit bonus at a sportsbook, which will be from 10% to 100% of the first transaction you make when funding your account, goes into effect after that deposit is made. However, you may need to bet a certain amount, meet a play-through requirement, before you can use it. Play-through amounts, which do vary from site to site, are usually from one- to 10-times the amount of your deposit plus the bonus. An actual welcome or sign up bonus requires no deposit on your part. It’s awarded and active as soon as you create your account at the book. With this type of free money, which at a sports betting website is often between $5.00 and $100.00, you may use the cash only to wager. Often, you are not allowed to withdraw the bonus, but only the winnings associated with it. Also, you may be restricted to using all of the bonus on one bet, and the bookmaker may designate on which events the bet may or may not be placed. Many online sportsbooks include a reload bonus in their offerings. This is awarded when, after making your first deposit, you deposit more money into your account. Reload bonuses at books vary from 10% to 100% of the amount deposited. Certain books offer bettors cash back. Bookmakers usually do this in one of two ways. Some books will return cash that is bet on specified events, such as certain horse races, if you don’t pick the winner. Other books will give back a percentage of your losses for the month. The range is 5% to 10%. There may be restrictions regarding what sports or events are included. Cash that is given back may not be withdrawn. It must be used for wagering purposes. In order to entice action, a bookmaker may offer you a free bet. This bet must usually be placed on one event and, often, specific sports or events will be excluded. As it is with other such offers, only the amount won may be withdrawn. Online sports betting websites often support a refer-a-friend program, as this is a solid recruitment tool. If you refer-a-friend to a sportsbook at which you play, you will receive anywhere from $25 to $100 once they sign up and make their initial deposit. When joining the book, your friend will be asked to identify you either through a special code or your player name. There are many other bonus offers, special promotions, and awards that you’ll find at online gambling sites. These can provide you with even more opportunities to win money. A free roll gives you entry into a tournament or contest where you have the chance to win cash prizes. Often free rolls require a special bonus code that you can either get from the online gambling site, an affiliate website, or a forum or social media outlet. Free rolls are most commonly found at poker rooms, but you may also find them at casinos and some innovative sportsbooks. If a site has recently gone mobile, set up a new venue, such as a casino adding a poker room, or provided a different gaming experience by adding the latest exciting slot machine or table game, creating a different poker variant, or expanding its sports betting market, you may be offered some cash to try it out. The amount of money offered ranges from $5.00 to $20.00. 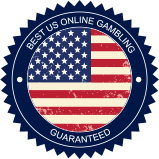 Various online gambling sites offer a combination of betting opportunities, as they support a casino, poker room, sportsbook, and horse and/or dog book. Such sites like to encourage crossover play where poker players visit the casino, casino players bet on sports, and so forth. In order to do this, they may give you some free cash, a free roll, or a special bonus that is to be used or accessed at one of the other venues. Online casinos are famous for running special contests, although poker rooms and sportsbooks will sometimes also do this. These offer players extra chances to win cash and prizes. They are designed to create more action at the site. Examples of contests at an online gambling sites include a casino giving a player who spends $50.00 on blackjack in one day a special scratch card that offers them a shot at a prize, a poker room holding a month-long competition that includes an opportunity each day to play in a specified tournament to win a ticket to a big free roll, or a sportsbook holding a March Madness brackets contest. A gambling website’s VIP program awards points to a member when they gamble. The more money they risk, the more VIP points they get. Often VIP programs have three to four tiers of participation with those who spend the most earning high roller status. Those who are high rollers receive special benefits and privileges. VIP points may often be traded in for more betting cash, be used to wager on certain events or games, or utilized to purchase items from the online gambling site’s store. They may also, in some instances, be used to gain access to discounts on various items and services. Always read the fine print before participating in a bonus offer. Never join a site just for the bonus promotion. Make sure you’ll be able to meet play-through requirements. Don’t strain your bankroll just to meet play-through requirements. Choose bonuses that fit your playing habits. Keep current on the latest offers. If you don’t understand how a bonus works contact customer service. Don’t play a game just because there’s a bonus associated with it. Make sure you follow all steps required to acquire the bonus. Use your bonuses before they are no longer valid. Online gambling bonuses can give you a lot more gambling power, as long as you use them correctly.